This week’s episode is the result of some it’s-a-small-world moments coming together. As you may remember, during our 2012 KISSMAS in July, we featured an episode on KISS Kover songs. One of the songs played was by a band named Hair of the Dog. 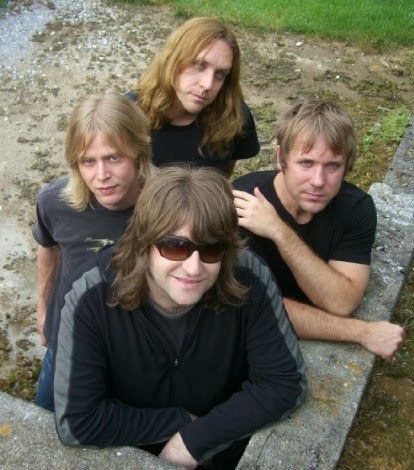 This band achieved some strong popularity in the upper Midwest; most notably in central Wisconsin, home to Aaron Camaro. We couldn’t find a whole lot of information on Hair of the Dog or the current-day status of their members online and went on to work on other episodes about other artists. Flash forward to July of 2013 and Chris heads out to the TomKeifer/John Corabi double-bill at local Nashville club 3rd and Lindsley. After running into some mutual friends, he’s introduced to legendary producer Michael Wagener. During the conversation, Chris hands Mr. Wagener a Decibel Geek business card. Overhearing the conversation, guitarist Jeremy Asbrock chimes in that he’s a listener of the show and was impressed by our Lydia Criss interview. After this, Jeremy introduces Chris to Ryan Cook, former singer for the aforementioned Hair of the Dog. Upon learning that Jeremy and Ryan were band mates and living in Nashville, the wheels were set into motion to get microphones in front of everyone and this week, schedules lined up and we dug into lots of discussion. 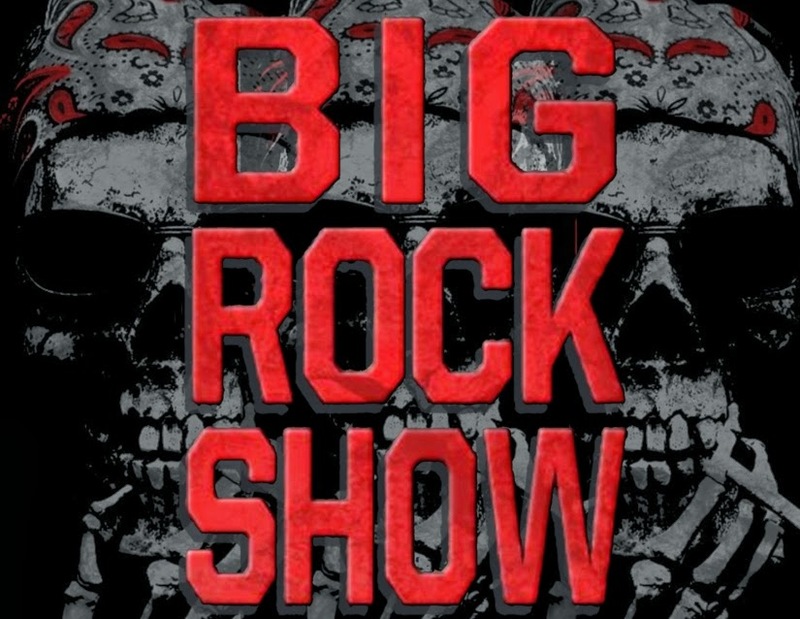 While this week’s episode is called The Big Rock Show, its title is taken from our guests’ band. Ryan Cook and Jeremy Asbrock make up part of this group that started out as a fun way to jam on some cover songs that the members grew up on and has turned into a true gig for the guys with appearances all over the country as well as on the high seas for a number of rock-themed cruise ships. 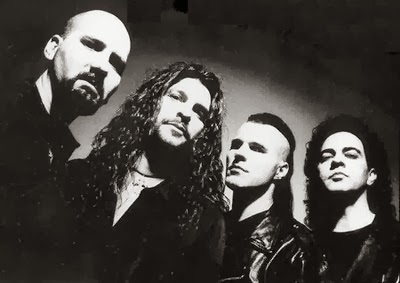 Ryan Cook, while a member of Hair of the Dog, is not also a part-time player in Skid Row; replacing Dave “Snake” Sabo, when scheduling conflicts come up. Jeremy Asbrock, a Nashville native, was a member of longtime Music City favorites The Shazam. We get into details of how The Big Rock Show came together, the relationship of the band members, and some memorable gigs that they’ve had over the years. Aaron and Chris truly met their match in the KISS fan department as Ryan and Jeremy are every bit as much KISS geeks as they are. This conversation is 90% KISS-related discussion and you must be warned, copious amounts of alcohol are consumed throughout the conversation, resulting in the silliness factor increasing over time. If you are uptight about certain issues with KISS, we may piss you off. If you aren’t, you’ll probably get a good laugh out of it. The Big Rock Show will be performing in Nashville at 12thand Porter on Friday, October 11th. The show is being sponsored by local classic rock station WNRQ 105.9 The Rock. 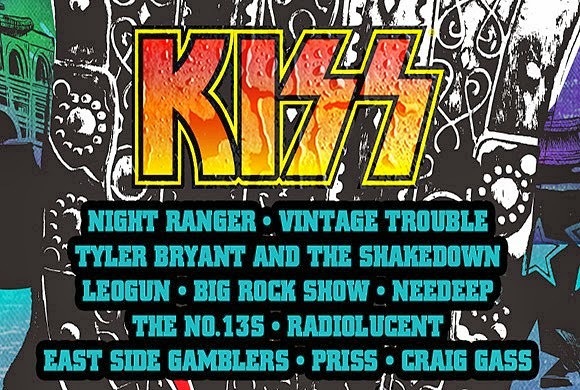 During this performance, 2 tickets will be given away to KISS KRUISE III, at which The Big Rock Show will also be performing. It promises to be a fun night of great music and lots of KISS fans (including Aaron and Chris) so come check it out if you are anywhere near Nashville. 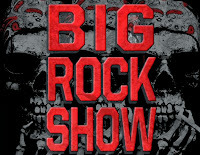 The Decibel Geek Podcast thanks Ryan Cook and Jeremy Asbrock from The Big Rock Show for their time and the fun conversation. We look forward to having them on again. That was one of the best Episodes you guys have ever done. Those guys are so cool. See you at 12th & Porter on Oct. 11th.